If you’ve been on any of Google’s Web services today, you may have missed a small but important change – they no longer directly link to your Google+ profile. 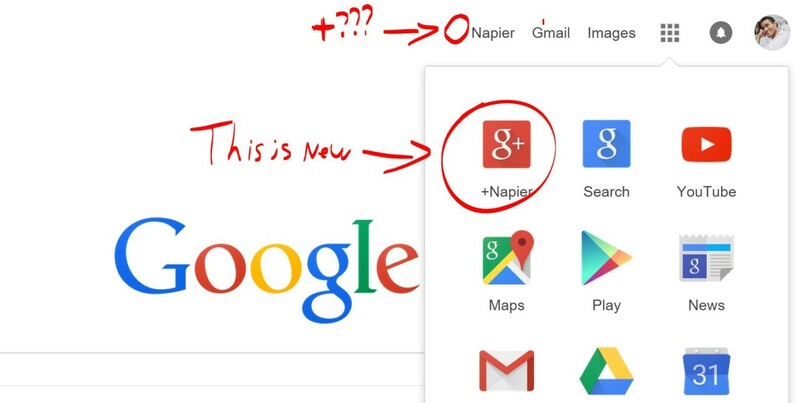 Previously your name would be displayed with a ‘+’ preceding it, and clicking on it would lead to your Google+ profile. That’s no longer the case; it’s now just your name in plain old non-clickable form. This applied to every Google property we tried, including Search, Gmail and even Google Plus itself. And as VentureBeat noticed, account profiles are no longer prominently listed at the top of search results. That’s not to say your Google+ profile is disappearing, though – you can still access it by clicking on the app selector icon next to your name. Still, the shift is notable. Whereas the company previously wanted Plus to be your hub for all things Google and social media, now it’s being treated like just any other app or service – a further sign Google is slowly separating Plus’ features into various services.